The grand launch of Nokia N97, a NSeries based mobile phone with touch screen and QWERY keyboard, is today’s hot news in the blogosphere and mobile industry watchers. 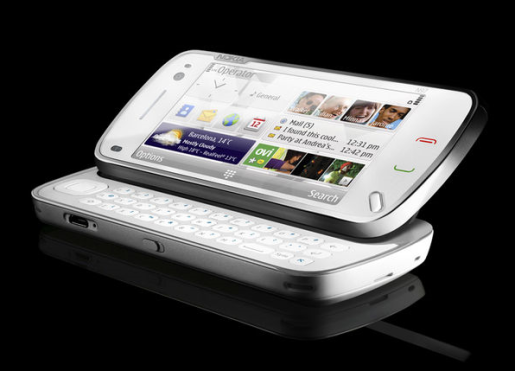 The new N97 looks like the real answer from Nokia for Apple’s iPhone. The N97 comes with a large touch screen (3.5" 640×360), 30 degree flip mechanism to access the QWERTY keyboard, 48 GB of storage space( 36 GB internal storage and 12 GB card support), 5 MP camera with Carl Zeiss lens, accelerometer for landscape/portrait mode switching and A-GPS. Do they still make these? I want one!! When is this coming out and how much! do they sell them in canada and are they cheap??? white looks so damn pretty!! !